Guest article by Anna Tsyupko, CEO of Paybase, the payments platform that transforms and grows businesses - with payments, compliance and risk management all under one unified API. After the Barclaycard credit and debit cards were launched in the UK in the 1960s, the fundamentals of card payments remained broadly unchanged for decades. Online payments unquestionably revolutionised commerce and, more recently, contactless cards and mobile payments changed the way we pay for good and services - but the actual movement of money stayed the same. Money went from buyer to seller. However, whilst it may not be visible to the customer, the rise of marketplaces and gig and sharing economy platforms has mutated this payment flow. Modern companies require something more complex and, frankly, the payments industry needs to catch up. As the popularity of marketplaces and the gig/sharing economy has soared, with businesses like Uber and AirBnB changing the way we live, you’d be forgiven for thinking that accepting payments is easy for these types of firms. This is not the case. The payments industry is plagued by legacy thinking and legacy technology that has struggled to keep up with complex payment demands. Until recently, payments technology has been unwieldy and uncomfortable to integrate, often causing an interruption in service and a delay in getting to market. The fact marketplaces and gig/sharing economy platforms have succeeded has actually been in spite of this. In fact, so difficult is this payments integration, that some firms have looked at creating their own payments infrastructure - AirBnB being a notable example. Through becoming a licensed financial institution, companies gain the flexibility to route complex payments flows. However, this is an arduous process with many regulatory standards needing to be met, especially if you want to operate in more than one country. AirBnB may have had enough time and investment to succeed, but many other promising startups are not so lucky. So what is it about marketplaces and gig/sharing economy platforms that make their requirements more complex than other types of commerce? With marketplaces and platforms, rather than buying goods and services on the basis of one customer and one seller, we now consume on a one-to-many or even many-to-many basis. What does this mean in practice for businesses looking to process complex payments? Most of us have bought something from a well-known marketplace such as Etsy or Asos. They are companies that don’t make goods themselves but provide a medium for linking vendors to consumers. Payments, therefore, work as follows. £100 is being spent on a single marketplace, but the goods themselves were supplied by three individual vendors. It is the job of the marketplace to receive the £100, split it into £50, £30 and £20, take its cut of, for example, 10% from each seller (£5, £3 and £2) and finally transfer the correct amounts to sellers’ bank accounts. Considering the volume of transactions a marketplace is likely to process, this creates substantial operational overhead for the business. However, the complexity goes far further. What if sellers are charged differing fees from the marketplace based on the volume of sales they make? Or, if in spending £100, the customer unlocks a £5 cashback deal? Perhaps the customer has used a voucher which needs to be discounted from their bill. In order to provide these options, firms can find themselves having to devote large amounts of resource to payments when they should be focussing on their product. If your business is a gig/sharing economy platform, you are likely to run into the same problem. Payments must be taken in by the platform to then be sent to the bank accounts of the ‘suppliers’ - whether they be taxi drivers, dog walkers, flat owners, etc. This is where a payments partner such as Paybase comes in. With Paybase, all parties involved are given their own Paybase account, so that buyers can pay sellers/suppliers directly, with the marketplace or platform automatically taking the cut that it wishes. This alleviates the need for the marketplace or platform to take in funds and then reconcile them to the bank accounts of its sellers/suppliers. Furthermore, with the use of Paybase’s custom built Logic Engine, marketplaces and platforms can customise their fee collection in a way that suits their needs. Not only can different fees be applied to different accounts based on volume of transactions, but businesses can create their own ‘rules’ to affect payments for however long they desire. 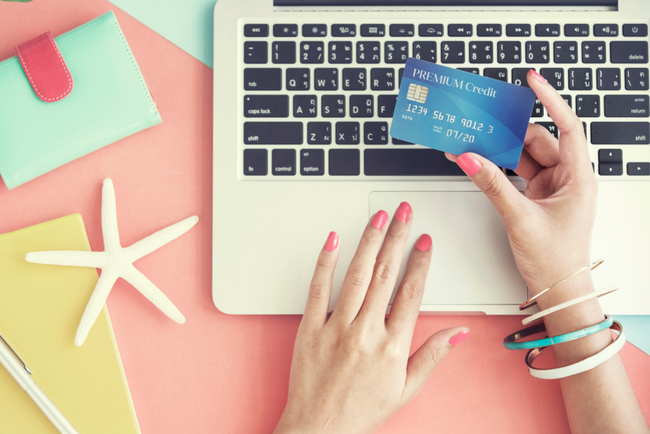 If a business wishes to offer half price fees on a certain week, or perhaps double loyalty points for a day, Paybase allows them to programme this themselves. This flexibility means that marketplaces and platforms can inject their own business logic into the Payabse Platform, transforming their business through beautiful payment experiences. Finally, a better payments solution is not just a possibility for marketplaces and platforms anymore - it is a requirement. The PSD2 regulation that was introduced in January 2018 requires these types of firms to either partner with a regulated payments provider or become regulated themselves. This is to primarily protect the consumer, but will also benefit marketplaces and platforms, as they will avoid both the pitfalls of trying to become regulated themselves and the burden of payment reconciliation. The growth of marketplaces and the gig/sharing economy has been one of most important features of the UK economy in the past decade and it shows no sign of stopping. However, payments are still lagging behind. Too many firms have been slowed down by legacy technology and had to either compromise on their product or put a large amount of time and effort into creating their own solution. Partnering with a payments provider like Paybase allows firms to meet all their requirements and go further still. We are entering a period in which payments need not be a burdensome afterthought but a tool which allows marketplaces and platforms to create truly innovative and exciting products.